Moving Company Profitability: Are You Making the Right Moves? Moving customer’s possessions back in forth is the easy part of operating a mobile storage business. When the containers get picked up and delivered on schedule and to the customer’s satisfaction, you know you are doing a good job. What’s more difficult to determine is whether your business is making the right moves towards the goals of the future. When it comes to moving company profitability, it is crucial to track more than just your bottom line; you need to track your marketing and positioning to ensure the greatest level of success. It is crucial to keep a sharp eye the effectiveness of your marketing campaigns. This includes everything from the flyers you send to the ads you deploy on social media. Pay close attention to the patterns you discover as this will help you tailor your efforts for greater effectiveness. As you track your marketing efforts, don’t hesitate to drop platforms and campaigns that aren’t generating positive results. Regardless of how large your region is, you will reach a point of saturation within the market. As this happens, your affiliate network will grow at a reduced rate. At this point, it’s crucial to nurture your strongest affiliates and work with your weaker affiliates to determine the ways your services can better meet their client’s needs. Moreover, if your affiliates are generating steady and solid streams of new customers, then it is quite probable that it is a good time to consider expanding your reach into areas beyond the region you are currently serving. You have too much inventory and need to divest your business of unused assets. Your marketing/affiliate efforts are not generating positive results and need to be reconsidered. Your existing inventory is not suitable to the needs of your target demographic, in which case you’ll need to reconsider the market you wish to service or purchase new inventory. Conversely, if you discover that the demands on your fleet and container inventory exceed existing demand, then it’s time to expand without hesitation. Every client you have to turn away or delay is a dollar that doesn’t go towards improving your moving company profitability. Staff will always be your greatest expense and your greatest asset. Building a good team is the key to a solid and stable future and you should nurture your employees as if they were family. If your turnover rates are trending upwards, it will have a significant impact on your moving company profitability. If your staff start leaving for reasons that you can control, then it’s important to get ahead of the trend as soon as possible. Improved training, benefits, bonuses, and advancement opportunities will go a long way towards boosting morale and the quality of services you provide customers. 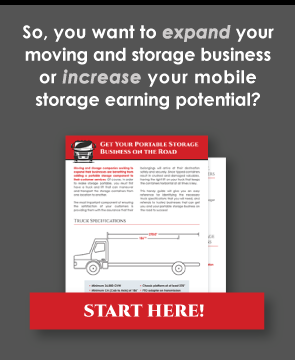 In turn, this puts your moving company profitability back on course before it puts too big a dent in your bottom line. Moving company profitability is fluid and is often improved by making minor adjustments along the way. The closer you monitor your operations and efforts, the easier it will be to stay on course. If your data and the feedback you receive from affiliates, employees, and clients shows that it is time to trim sails or change course, don’t hesitate to make the changes that are necessary for your business to achieve the goals you are aiming for.